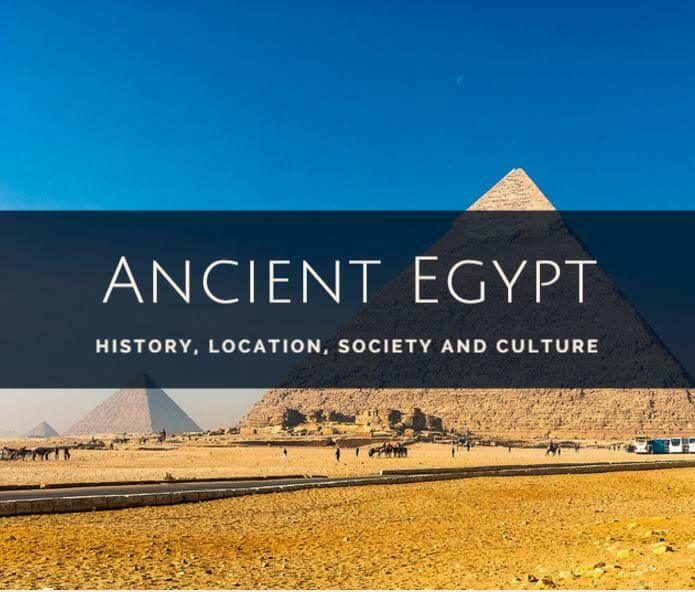 Ancient Egypt was a civilization which originated along the middle and lower course of the Nile River, and which reached three eras of Pharaonic splendor over 30 centuries. Old Kingdom (2800 – 2200 B.C. ): The first pharaohs created a powerful State, with its capital in Memphis, which governed all of Egypt and achieved a long period of stability. The great pyramids of Giza were constructed in this period. Middle Kingdom (2050 – 1780 B.C. ): The capital was moved to Thebes. Its pharaohs extended their dominion as far as the region of Nubia and brought about great cultural development. The empire decayed because of attacks by the Hyksos, coming from Mesopotamia. New Kingdom (1580 – 1100 B.C. ): The unification of the territory, achieved by the pharaoh Ahmose I allowed the broadening of its dominions as far as Palestine and Syria. In addition, Amenhotep IV established a new religion in Egypt based on the cult of the god Aten and established his capital in Tell El-Amarna. Late Period (1100 – 30 B.C. ): In this period the decline of Egypt began, as it suffered from Assyrian and Persian attacks. 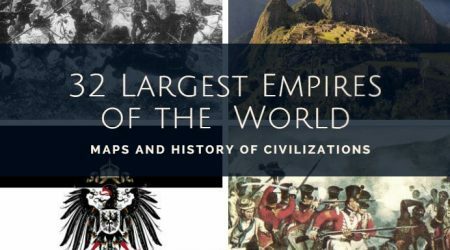 In the 4th Century B.C it was conquered by Alexander the Great, and in the year 30 B.C, the Romans made it into a province of their empire. Egypt can be found situated in the northeast extreme of Africa. The River Nile goes through it from South to North and flows into the Mediterranean Sea. Desert covers more than 90% of Egypt. The Egyptians lived on the banks of the Nile or next to canals. Each year the Nile overflowed and flooded the fields located by its shores and fertilized them, generating excesses of food. 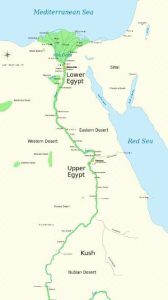 The country was divided in two: Upper Egypt to the south and Lower Egypt to the north, in the mouth of the Nile in the shape of a delta. 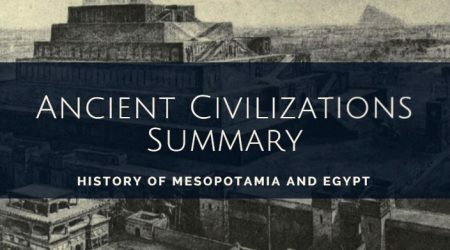 The unification of Upper and Lower Egypt is attributed to pharaoh Menes, around the year 3200 before Christ. His political action signified the start of a great civilization which lived on for close to 3500 years. 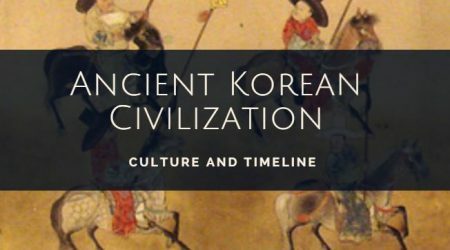 This important culture occupied for many centuries not only part of the African continent but also the western extreme of Asia, thanks to its campaigns for conquest during the Middle Kingdom and the New Kingdom. First group: the Pharaoh (king/god) and the royal family. Second group: Priests, some civil servants, governors of provinces, military commanders and scribes of high rank. Third group: farmers, who constituted around 97% of the total population. It also included artisans and tradesmen. Fourth group: Slaves belonged to this group. They were considered objects or animals and could be bought and sold. Many of them worked in the comfortable houses. The role that the woman played in Egypt was more significant than in other cultures of Antiquity. Some of them had great power and were even Egyptian queens. Nefertiti is the most known queen from the Pharaonic period. Her name means, “The beautiful one has come,” and her beauty has been emphasized in the different sculptures and recordings. Nefertiti was immortalized in temples and monuments more than any other Egyptian queen. The pharaoh was considered a god as it was believed that he had a divine origin. He took the name of He of the Two Ladies, King of Upper and Lower Egypt, Horus of Gold, Horus the Victor and son of Ra. Upon dying, power was transferred by inheritance to his firstborn son, although on various occasions it did not happen this way. He was an absolute monarch, though he had to have a wide intellectual formation, and all of his public and private life was regulated with severity. He had all the powers: the legislative, the executive, the judicial and the religious. 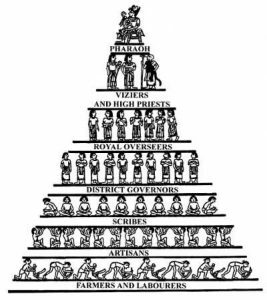 The functions of the pharaoh consisted of preserving and maintaining respect for the laws of Maat, which maintain the order of the universe, from the moment of creation, not only in that which has to do with the social and political structure of Egypt, but also the laws of nature. The priests were characterized by their wisdom, their principal function being the administration of temples and the service of their divinities, to interpret their desires, fulfill them and worship them. They were a very influential class in politics, such that some even came to govern as regents in the 21st and 22nd Dynasties. Such is the case of Piankhi or Harsiese. The scribes were very important in the organization of the state, as they were charged with writing down laws, transcribing sacred texts and all types of commercial and administrative texts. The artisans worked in workshops in which all the offices were mixed, and were supervised by a director general: smiths, jewelers, carpenters, leather workers, painters… Sculptors preferred to work isolated, even though it was common for several of them to work on the same work. There existed a type of slavery, or rather servitude, in which individuals had rights and salaries, and could even buy their freedom. Monarchic, as it was ruled solely by the Pharaoh, absolutist as the pharaoh had all the powers of the kingdom and theocratic as the Pharaoh believed himself to be the son of or chosen by God, in this way he justified his absolutism, giving account to no one besides God, as he considered himself a deity. The Egyptians were governed by the Pharaoh, who was helped by civil servants, governors, and soldiers to extend his power over all the territories under his mandate and enforce the established laws. This organization headed by a king is called a State. The Pharaoh had the mission of defending the nation with his army, as well as organizing cities, constructing canals for irrigation, encouraging agriculture, promoting commerce and administrating the agricultural excesses to successfully overcome the years of bad harvest. Some pharaohs were very powerful and broadened their dominions fighting against neighboring states. The Royal Scribe: charged with annotating all the acts of the government. This was a fundamental character, as they were educated, experts in hieroglyphic writing, and they knew the secrets of arithmetic, being the only ones capable of evaluating taxes, ensuring construction jobs and transcribing the pharaoh’s orders. The High Priest: The supreme head to whom the leadership of the religion had been entrusted. The priests formed a powerful class which for long centuries was the owner of power. The Grand Vizier: The one who controlled the nomes (provinces) and was the intermediary between the pharaoh and the other officials. The highest director or “prime minister” is denominated vizier, whose authority was second only to that of the pharaoh, assuming various of his functions by delegation. The Head of the Royal Seal: The one who controlled the treasury, the incomes and expenditures of the Egyptian monarchy. 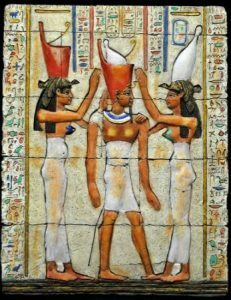 The Egyptian religion was of a polytheistic nature, that is to say, they believed in various gods and goddesses, not in only one. The Egyptians worshiped Osiris, who judged the soul, Ra (Sun God), the principal god of the empire and hundreds of divinities which they portrayed with animal heads, like cats, scarabs, snakes and the ox Apis. They celebrated numerous rituals, the most important of which was used to encourage the longed-for flooding of the river Nile, so necessary for agriculture. RA: He is the principal divinity. He represents the sun. ANUBIS: Represented as a man with a canine head, or as a great dog. He facilitates the ascension of the dead towards the celestial regions. Patron of the embalmers. ATEN: Name of the original solar disc of Heliopolis. Amenhotep IV did away with all the other deities, and only believed in this one. HORUS: Son of Isis and Osiris. God of they Sky. He was represented as a falcon or as a man with the head of a falcon. God of kingship. OSIRIS: Lord of the subterranean world which contains the seeds of life. He is the protector God of the dead in the beyond. HAPI: God of the Nile, of fertility and of the richness of the Egyptian nation. BES: Represented as a dwarf with a flat face. Protector of childbirth, and defender against evil spirits. PTAH: he was represented as a man wrapped in a tight vestment and wearing a cap and a scepter. Creator god, lord of the city of Memphis. Considered the patron of artisans. AMUN: Represented with two falcon plumes which adorn his headdress. The animals which represent him are the goose and the ram. God of the Empire and patron of Monarchy. The Egyptians believed in life in the beyond, that is to say, after death. The dead were buried in tombs (pyramids, mastabas, or hypogeums), some of them prodigiously adorned with paintings, relieves and fabulous funerary furnishings. Thanks to this we know their civilization pretty well. Mummification was a fruit of the beliefs about the afterlife, that is to say, the preparation of the dead for the next life. The bodies of the dead were put through a long process through which the entrails were removed (deposited in vessels called “canopic jars”) and, through being soaked in various substances, they were carefully wrapped to preserve the appearance they had in life. These great architectural works created in limestone were built by the Egyptians in antiquity, there were 47 main pyramids. They are the largest constructed funerary elements, inside a pyramid, there are several rooms, one of which is the mortuary chamber where the mummy and the funerary furnishings of the dead person were deposited. 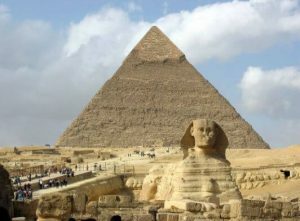 The largest and most well known are those of the pharaohs Keops, Khafre, and Mykerinos, which are found in Giza. There also existed Mastabas which are pyramids truncated at the top. They normally served for the burials of important courtiers and the Hypogeums were tombs excavated in the rock. They are not visible from the outside. Long before the unification of Upper and Lower Egypt, the Egyptians already had a system of writing, which in the beginning was figurative, because each figure represented an object or an idea. This way of writing was also called ideographic writing. This, later enriched with signs and symbols, was called as a whole hieroglyphic writing. The hieroglyphics are recorded on stones and on the walls of temples and pyramids and with them, testimony was left of the important facts of the history of Egypt. Hieroglyphic writing came to consist of more than 500 signs. The necessity of calculating the floods of the Nile encouraged the advance of astronomical studies, for which they invented the solar calendar. In the same way, the measurement of the waters of the Nile and of the plots of ground which were covered by them required mathematical calculation. 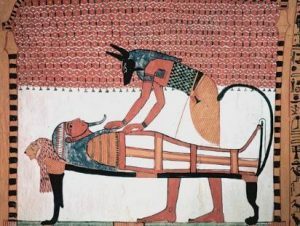 The practice of embalming, a method which prepared the dead for their conservation in the life after death, made them acquire notable knowledge about human body and medicine; they even carried out complex operations.